The world of wine is full of variations with so much to learn about taste, ingredients, smell, color and styles. 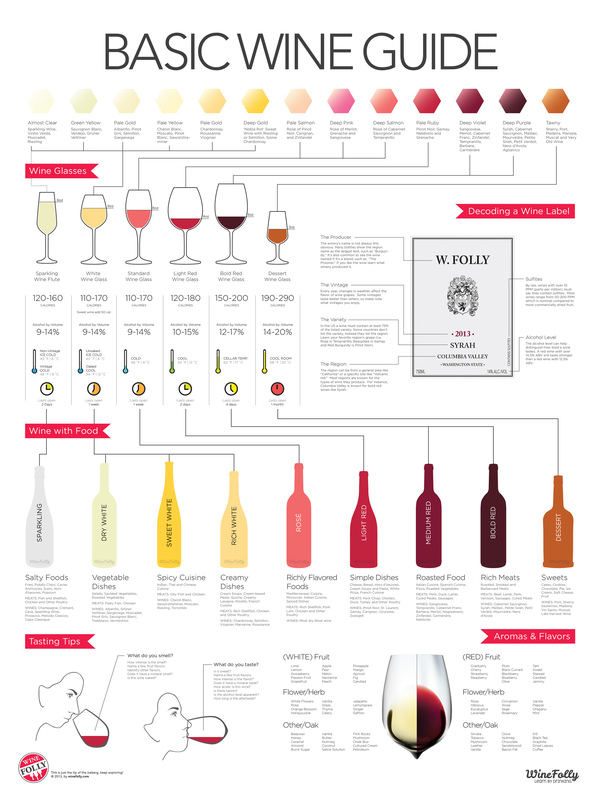 It can be a little overbearing for beginners which is why we're bringing you this accurate beginners guide to wine created by Wine Folly. It breaks down wine into colors, calories, styles and even shows you what to look for when reading wine labels. From there it offers some tops on descriptions, what to look for in smell and taste and what food to serve with different types.